I love all the fun woodland themes Fall brings. One of my favorites is mushrooms. 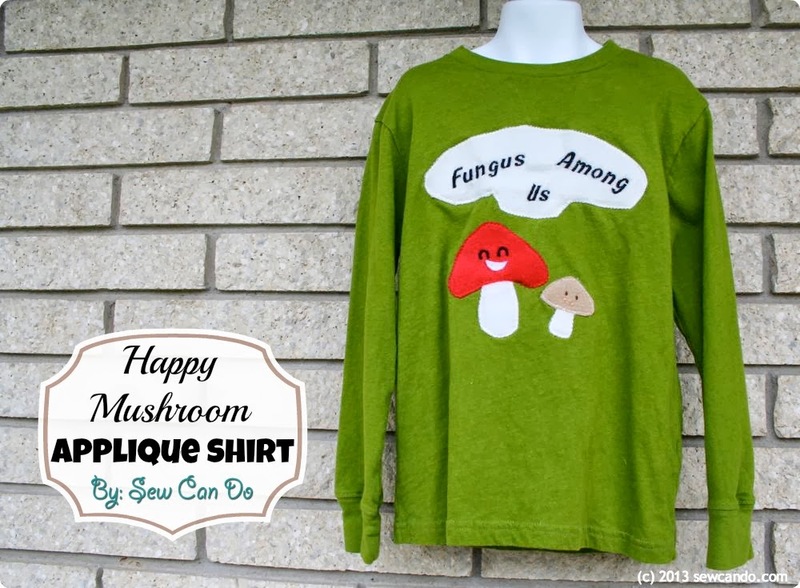 My kids are studying mushrooms in our homeschool science right now I thought a little fungus-friendly shirt would be the perfect project. I made it especially for my almost 7 year old son. Now that my boys are in the older kid sizes it has gotten really hard to find fun stuff for them to wear. Everything looks super boring or is covered in sports, superheroes, skulls or snarky comments. I prefer my kids snark-free and am not a big fan of the other themes, so I've gotta get crafty coming up with my own designs. Fun, happy mushrooms make a nice change and aren't too cutesy for my getting big, (but still little to me, guys. 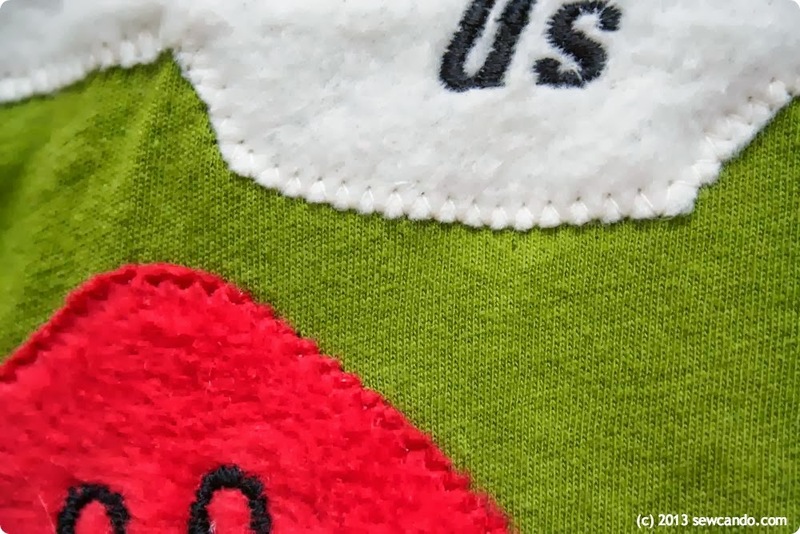 *I used my Brother SE-400 (which does machine embroidery & regular sewing) for my lettering, but this could also be done with iron-on letters or freezer paper stencils. 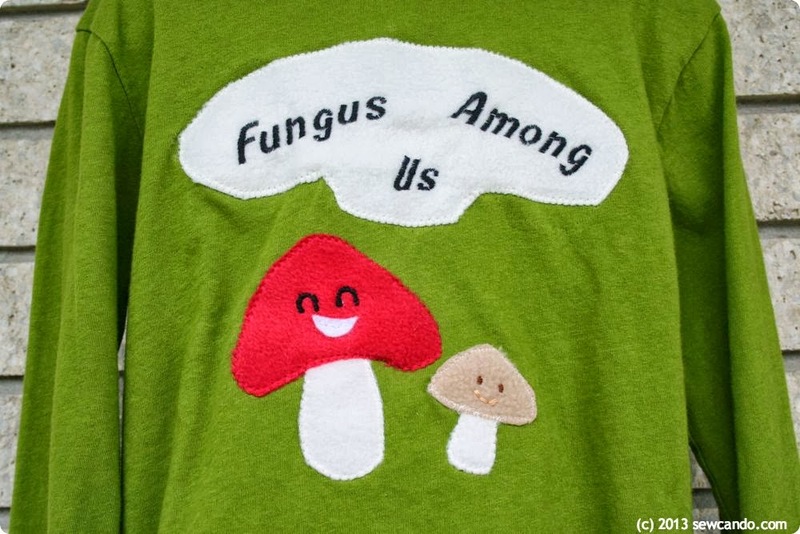 I decided on "Fungus Among Us" for my wording and did each word separately since my machine has some limits on size. 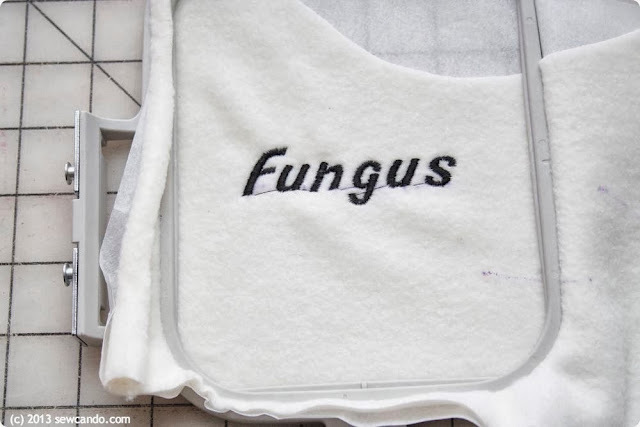 For machine embroidering I always use stabilizer on the back & pull my fabric nice and taut in the hoop (for more details on how to do machine embroidery, see here). I also cut a large piece of stabilizer to go behind the entire face of the shirt, covering the entire applique area and pinned it into place. 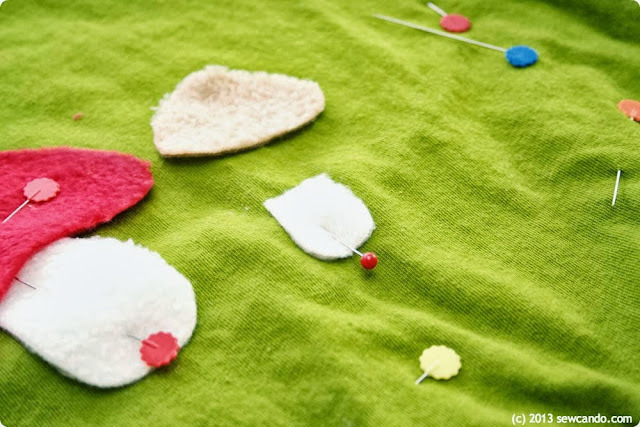 Using stabilizer is a good idea when doing applique on knits - it helps keep the fabric from stretching or pulling. 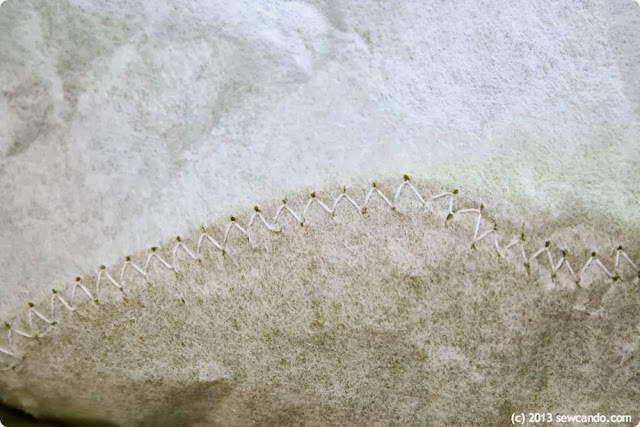 I used tear away on this shirt, but I normally use the softer kind that stays on for items that are worn next to the skin. I appliqued the stalks first with a mid-sized zig-zag stitch (flipping up the bottom edges of the caps), then my mushroom caps and lastly, the text bubble. 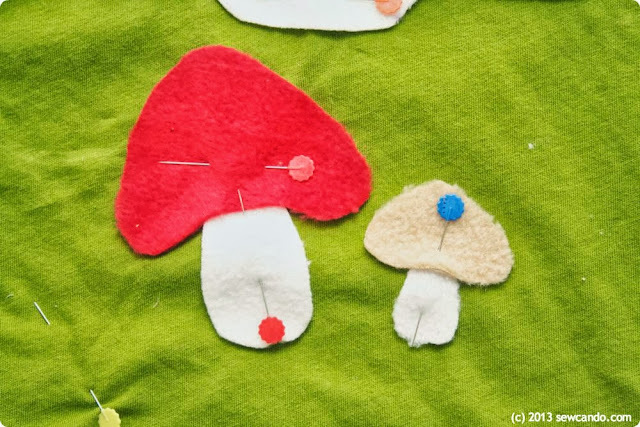 Using fleece means there's no fraying and is soft & fuzzy so it's ideal for this sort of applique. I satin stitched (wide, close together zig-zag) some arcs for the big mushrooms eyes and some small spots for the smaller one. I hand stitched a little smile on both and our little fungus friends were all set. Now we've got some happy mushrooms to make our experience learning about them even more fun! Really sweet shirt. 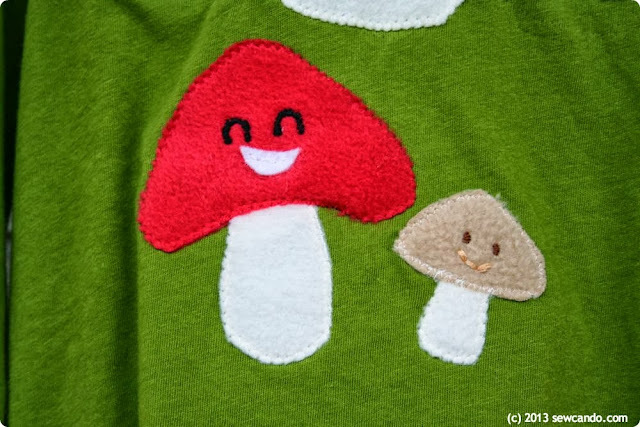 The happy mushrooms are cute for anyone, big or small!